Ruling TRS nominee and Chief Minister K Chandrasekhar Rao's daughter K Kavitha is among the contestants in the Nizamabad constituency where the farmers have entered the poll fray in large numbers to highlight their plight. Hyderabad: Nearly 700 nominations have been filed for the April 11 Lok Sabha elections in Telangana with Nizambad constituency alone accounting for around one-third of them as the process for filing of papers came to a close Monday. Over 200 tumeric and 'jowar' (sorghum) farmers filed their nominations in Nizamabad protesting the "failure" of the Centre and the state government to ensure remunerative prices for their produce, taking the total number of candidates in the constituency to 245. Ruling TRS nominee and Chief Minister K Chandrasekhar Rao's daughter K Kavitha is among the contestants in the constituency. They had earlier said their target was to file 1,000 nominations. P Praveen Kumar, one of the farmers who filed his paper Monday, said around 230 ryots have entered the fray. State Chief Electoral Officer Rajat Kumar said as per initial figures, a total of 699 nominations, including 245 in Nizambad, had been filed for the 17 constituencies in the state as of Monday evening. The final tally may go up as the process of compilation was on, he told reporters here. On whether EVMs can be used in view of large number of contestants in Nizamabad, he said that while the old machines cannot accomodate many, the new equipment can handle more. However, ballot papers would be used if need be, he added. On a complaint that farmers were allegedly treated disrespectfully when they came to file nominations and 'preference' was given to a "VIP" candidate, Kumar said there was no violation of rules. The scrutiny of nomination papers would take place Tuesday and the last date for withdrawal is March 28. The process of filing nominations began on March 18. 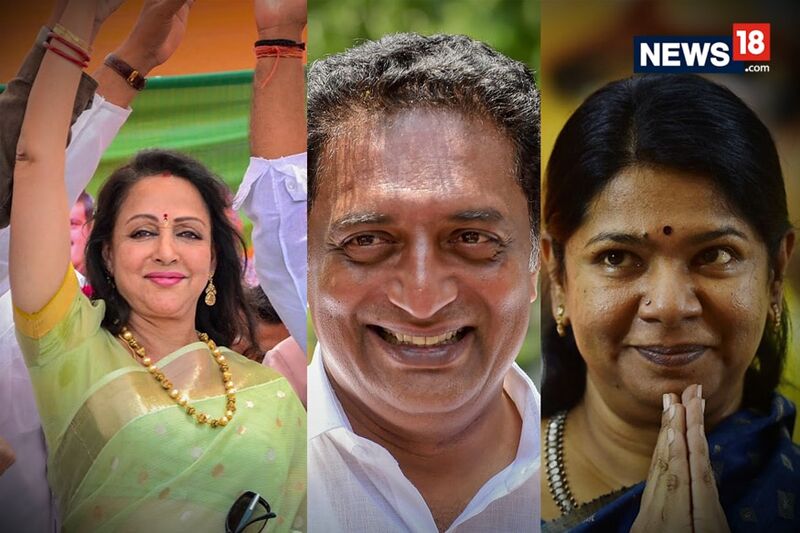 State Congress chief N Uttam Kumar Reddy (from Nalgonda), AIMIM president Asaduddin Owaisi (Hyderabad) and former union minister Renuka Choudhary (Khammam) are among the prominent prominent candidates who have filed their papers. 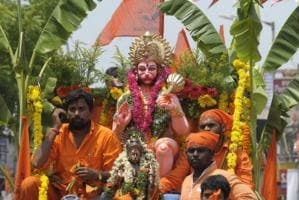 The youngest state in the country is set for a triangular contest with the ruling TRS, which scored a thumping win in December 2018 assembly elections, the main opposition Congress and the BJP fighting the polls on their own. Though the TRS has filed nominations for all 17 seats, including Hyderabad, it has been publicly supporting its ally Owaisi, who is pitching for the ruling party's victory in remaining 16 constituencies. Congress and BJP have fielded nominees in all the seats. AICC incharge of party affairs in Telangana RC Khuntia appealed to TDP, CPI and other opposition parties to support the Congress in constituencies where they are not in the fray. Significantly, TDP on Monday decided not to field candidates in Telangana in the Lok Sabha elections, a first since its formation in 1982. Congress had requested the regional party's support, TDP sources said. BJP has denied ticket to its sitting MP and former union minister Bandaru Dattatreya. The CPI-M and CPI are contesting two seats each.